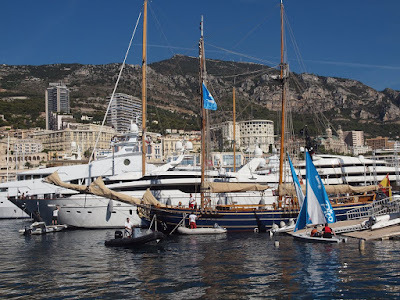 Monte Carlo Weekly Photo: Monaco Yacht Show - Where's Johnny Depp? On the way to the far side of the port to photograph Steven Spielberg's yacht, I noticed this pirate ship called Sadko. 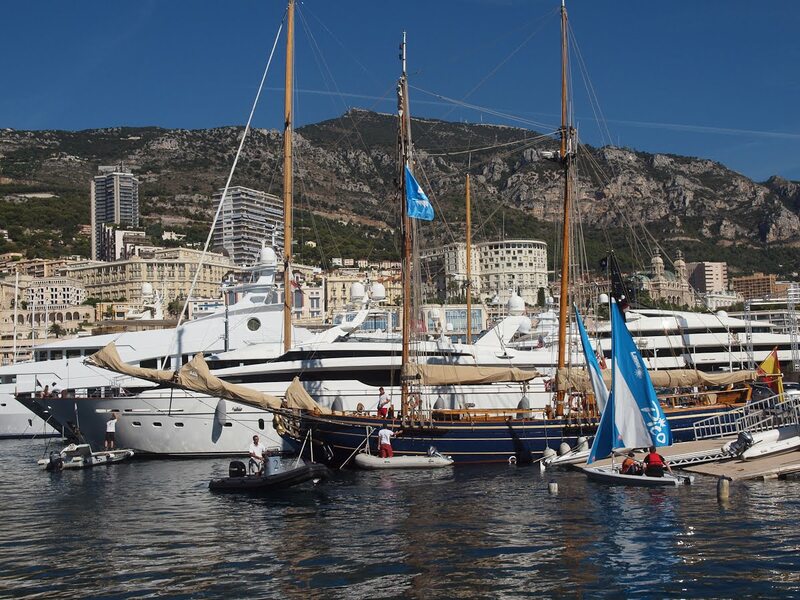 Of course, she's not part of the Monaco Yacht Show and she's not even a genuine pirate ship. Perhaps there aren't any of those left? 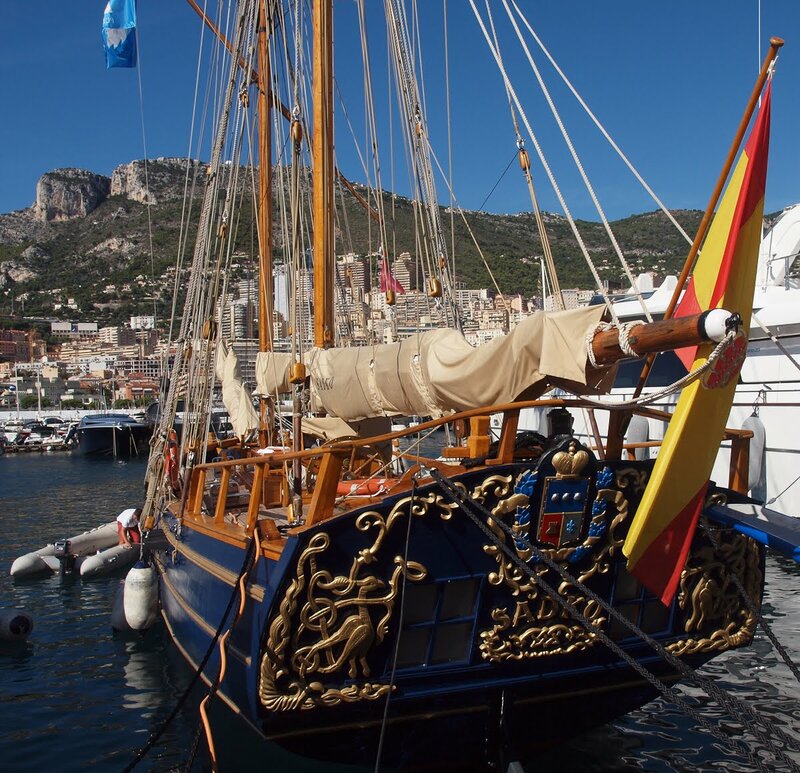 She's a 30 metre authentic replica of a pirate schooner from the XVIth century. Yes, where is Johnny when you need him! Probably at his big villa nearby. 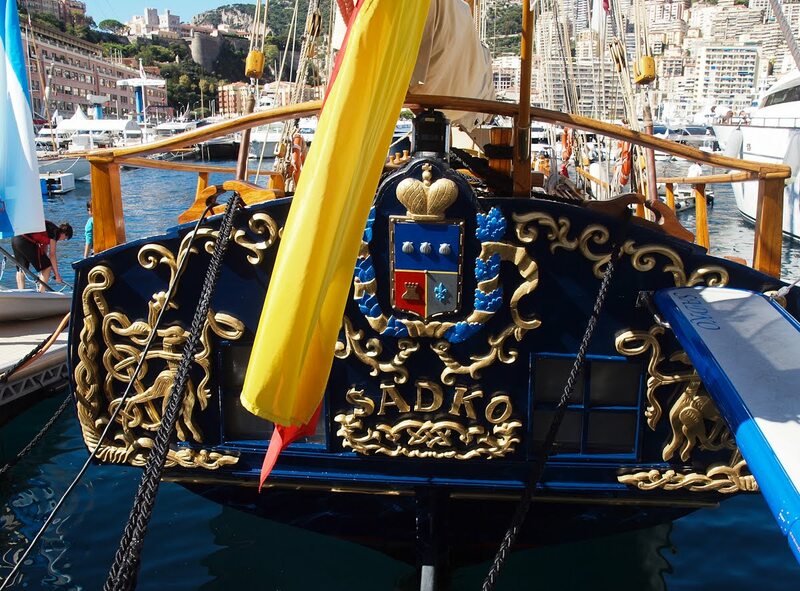 Well, somewhere in the south of France anyway.